If you’re suffering from water damage headaches like roof leaks, flooding, pipe bursts, frozen pipes, or sewage spills; call the Houston experts from 911 Restoration are trained and ready to lend you a hand. We have an industry leading response time of 45 minutes. With our Fresh Start attitude, we’ll make sure you get fast and reliable water damage repair and restoration. Our experts are fully dedicated to your satisfaction during your time of need. Water damage situation can arise when you least expect them, but our water damage Houston will always be available 24/7/365 to take on any leak no matter when they happen. When you call us regarding a water damage situation that needs to be patched up, you can expect on the day service that will take care of the problem right away. We have over three decades worth of experience in handling all of those problems. Our experience together with our training and equipment will help us provide top notch restorations that will give your home a fresh start! Water damage situations can give rise to other issues like mold growth and wood rot. That’s why it’s necessary to be able to work on the problem right away. 911 Restoration’s quick response and on the day service will be able to help you avoid any further complications. Our IICRC-certified water damage Houston technicians will be using advanced drying equipment to extract water and remove moisture from your home thoroughly. You can expect nothing but absolute satisfaction when it comes to our water damage restoration Houston team with 911 Restoration Houston today! When roof leaks or pipe bursts cause water to come into your home, it can bring in excess moisture that creates the idea environment for mold to thrive. Mold can hasten the deterioration of the wooden components of your home like the ceiling, rafters, or floor. Mold will also release spores that can spread the fungal infestation and can trigger health conditions like skin irritation, asthma, and coughing. 911 Restoration’s mold remediation service is exactly what you need to remove mold thoroughly from your home. We will inspect each nook and cranny of your home for any signs of fungal infestation, and we will use eco-friendly cleaning solutions to remove mold along with the spores it may have released. 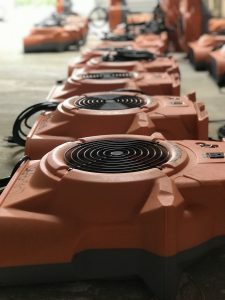 With our state of the art drying equipment, mold removal Houston technicians can make sure that all traces of moisture are removed from your home so you won’t have to worry about fungal infestations in the long run. Whenever there is pressure build up in the city’s sewer line, it can cause sewage to rise up into your home through a toilet. And when this happens, you’re going to need the quick response from water damage Houston experts from 911 Restoration. Black water is filled with all kinds of biological contaminants that can cause severe damage to your home’s interiors and can spread sickness. Our water damage Houston experts have all the required training and equipment to be able to take on sewage spills safely and effectively. We will be wearing protective hazmat suits as we work to prevent the spread of disease. We will then extract sewage using our advanced drying equipment. 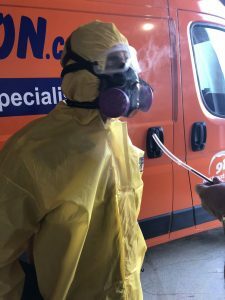 We will then decontaminate the affected area using our industrial strength cleaning solutions that will kill bacteria without causing any further damage to your home. 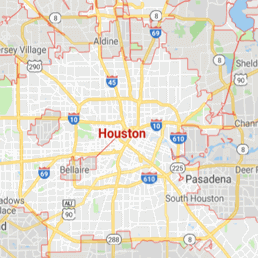 Lastly, our sewage backup cleanup Houston team with 911 Restoration Houston will make sure that any damage to your plumbing system is addressed today! It can be difficult to deal with the aftermath of a fire. That’s why we offer comprehensive solutions that will take care of all the issues caused by fire damage. You can also count on our fire and smoke damage restoration Houston team with 911 Restoration Houston to help you file your claims with your insurance company today! 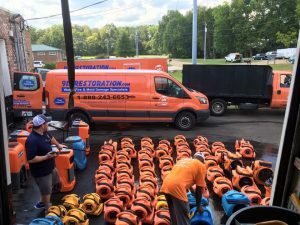 With our expertise, quick response, and state-of-the-art equipment, we’ll offer only the highest quality of water damage restoration, mold remediation, fire damage restoration, and disaster damage restoration. Our disaster restoration Houston staff has been through every kind of catastrophe that exists in this industry, and that is how we managed to become the go-to source for people with such challenges. When a crisis occurs, our team will be there within 45 minutes to take care of the damages after your call so that we can ensure you have the least amount of affected area in your home or office. Taking on the various challenges of a disaster scenario requires expertise and skill that can only be acquired through years of experiences in the industry. If your home or work location has already been through a disaster scenario of some sort, then contact our disaster restoration Houston team with 911 Restoration Houston for immediate assistance today!